There are many people today who like to sugar coat the ancient world. They believe it was a time of flower power and minimal violence. Yet if any of these people were teleported to the ancient Aztec world - they would find themselves ankle deep in a pool of sacrificial blood and shaking in horror as an Aztec Priest ripped out the still beating heart of his sacrificial victim. Some have criticized the film Apocalypto because it was produced by Mel Gibson, a Christian. In our view this is not relevant. 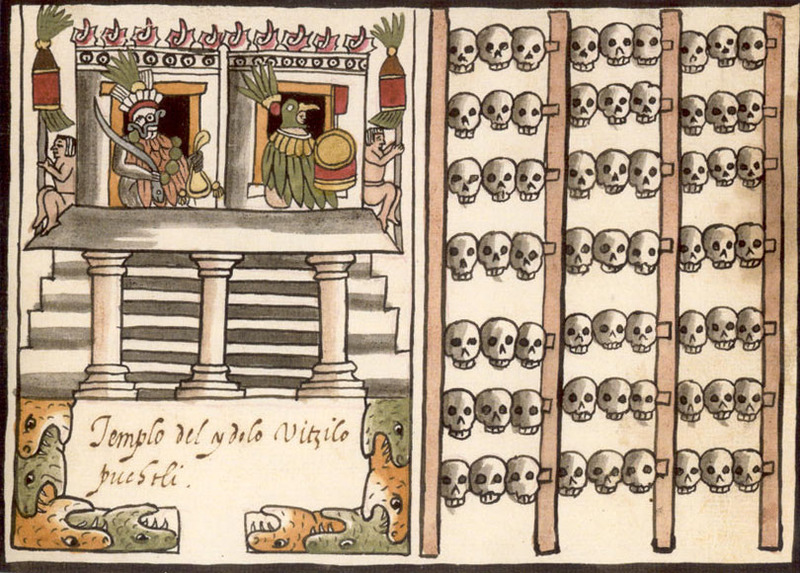 The film gives a realistic picture of the savagery of the Aztec world. Evidence is very clear that they murdered thousands every year in their rituals. We have clearly spoken out about the horrors of Christianity but it is relevant to see that there are many grim aspects to other religions. The main point is to be prepared for the carnage to come as the current world order collapses. Peace, love... flower power? No ... this is not the future.